There is a lot going on in this photo: is it sunrise? Sunset? Is it the morning after a really great party, or did the poor girl get jumped on the way to the gala? Either way one thing is for sure: she's got (or someone's got - are those her hands?) a great set of nails - and whatever mayhem she went through before this photo was taken, her polish has held up perfectly. It got me thinking: what nail trends are you feeling this holiday season? When I first saw this style I was not impressed. Yet I now find that this style is growing on me. I want to try this is so bad! Perhaps not as sharp as these, but something certainly in this direction. 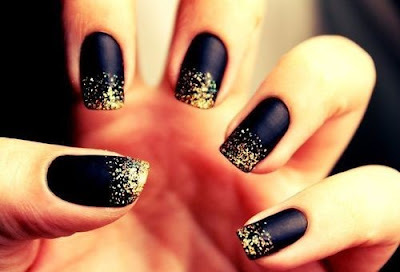 I have a friend who works at a nail salon who showed me this style: a mostly matte nail with a glitter or shimmer detail. 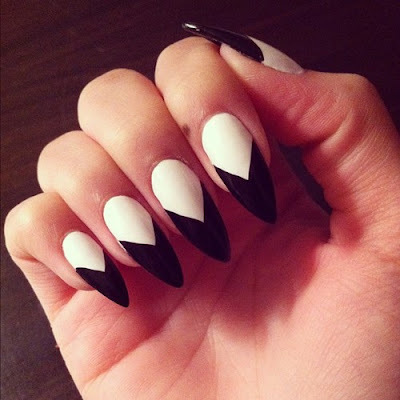 So far, this is my personal nail trend of the season. The options seem limitless! A perfect manicure for the holidays. One of the first blogs I ever got hooked on was a nail polish blog. It took nail polish from something that you did with your friends to a full blown obsession. 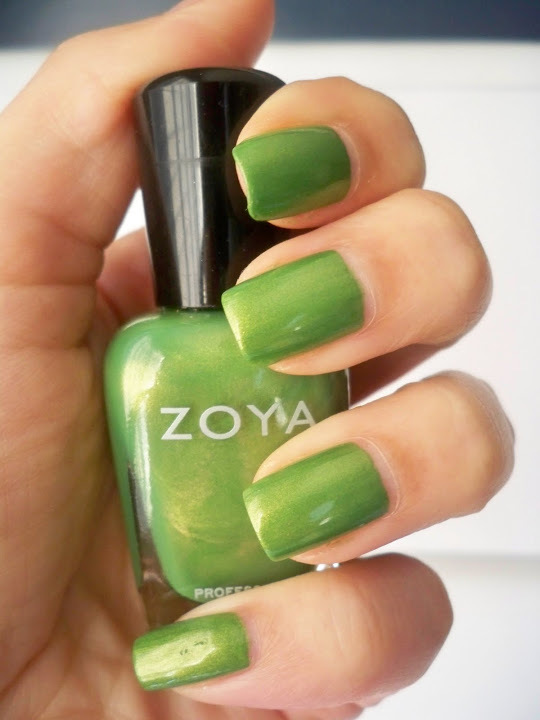 Hard to believe that 4 years ago green nail polish was considered HTF (hard to find). Ask any nail polish blogger and they will tell you that it was they who brought greens to the mass market through their demands. Green has been a trend ever since. With the cold weather settling in, all we want to do is settle down in a soft blanket and perhaps a Pumpkin Spice latte. How about your nails? Why snhuggle with 10 velvety soft nails? Which of these trends do you like? Have you tried any of them? 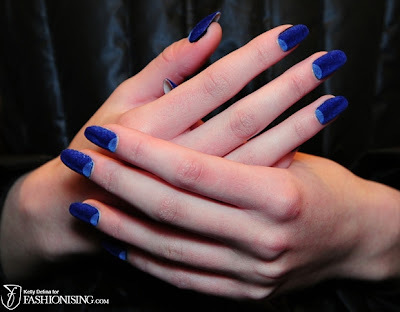 Those blue nails in the last pic look amazing (haven't tried the velvet thing though)!! And green is definitely a new favorite now. Matte nails are my favorite! I haven't seen velvet nails before, but I love them too! The sparkly nails are my favorite. So pretty! I could never skillfully do that kind of nail art though. It would come out looking like a mess. Sigh. It really does seem like nail colors have gotten more fun in the past few years. I remember in college wanting certain colors that you could just not find anywhere. Doing bright, unique colors for nails back then just wasn't the thing, I guess. I bought a couple of new shades for winter but haven't put them on yet- a sort of sparkly fuschia and a metallic gray.